Marcia Dalton and Bonita Gimple scored 0.84 masterpoints with a ★62.78%★ game at In Tempo Bridge Club. See full results of this game. Karen Dugger and Leslie Seldin scored 0.59 masterpoints with a 55.56% game at In Tempo Bridge Club. See full results of this game. Stewart Metosky and Sandee Metosky scored 0.59 masterpoints with a ★61.67%★ game at In Tempo Bridge Club. See full results of this game. Phil Hodes and Linda Hopkins scored 0.22 masterpoints with a 52.22% game at In Tempo Bridge Club. See full results of this game. Jean Petrilli and Rick Hunt scored 2.38 masterpoints with a 59.95% game at In Tempo Bridge Club. See full results of this game. Jim Williams and Herbert Scholl scored 0.63 masterpoints with a 50.26% game at In Tempo Bridge Club. See full results of this game. Julieen Crane and Merri Davis scored 1.07 masterpoints with a 54.41% game at Bridge On Shea. See full results of this game. Carmen Pottker and Kay Bland scored 0.71 masterpoints with a 53.05% game at Bridge On Shea. See full results of this game. Phebe Packer and Judith Washor scored 0.74 masterpoints with a 55.66% game at Bridge On Shea. See full results of this game. Diane Weissman and Bryan Carlson scored 1.78 masterpoints with a 58.03% game at Bridge On Shea. See full results of this game. Lawrence Marcus and Janet Newman scored 1.01 masterpoints with a 56.14% game at Bridge On Shea. See full results of this game. Elaine Sarko and Ralph Segal scored 0.50 masterpoints with a 53.32% game at Bridge On Shea. See full results of this game. Mady Stoll and Karla Reynolds scored 0.61 masterpoints with a 49.23% game at Bridge On Shea. See full results of this game. Fran Bernstein and Marvin Schenk scored 1.22 masterpoints with a 56.32% game at Bridge On Shea. See full results of this game. Carmen Pottker and Thom Saudargas scored 0.46 masterpoints with a 49.03% game at Bridge On Shea. See full results of this game. Deborah Baronofsky and Sandra Paley scored 0.48 masterpoints with a 55.08% game at In Tempo Bridge Club. See full results of this game. Diana Winston and Leslie Seldin scored 0.44 masterpoints with a 54.15% game at In Tempo Bridge Club. See full results of this game. Jack Berton, Jr and John Barker scored 0.18 masterpoints with a 43.06% game at In Tempo Bridge Club. See full results of this game. Murali Nair and Sudhakar Divakaruni scored 1.27 masterpoints with a 54.86% game at In Tempo Bridge Club. See full results of this game. Alice Pierce and Alice Bendheim scored 0.28 masterpoints with a 50% game at In Tempo Bridge Club. See full results of this game. Carol Johns and Deborah Weiss scored 0.24 masterpoints with a 49.07% game at In Tempo Bridge Club. See full results of this game. Elayne Zack and Alaka Kale scored 0.24 masterpoints with a 42.59% game at In Tempo Bridge Club. See full results of this game. Susan Kay Schultz and Richard Gitter scored 1.69 masterpoints with a 55.56% game at In Tempo Bridge Club. See full results of this game. Daniel Nelson and Yechezkel Zweig scored 0.34 masterpoints with a 49.77% game at In Tempo Bridge Club. See full results of this game. Diane Weissman and Gayle Quiros scored 0.84 masterpoints with a 52.78% game at In Tempo Bridge Club. See full results of this game. Rosemary Kerwin and Lois Bender scored 0.28 masterpoints with a 50.93% game at In Tempo Bridge Club. See full results of this game. Bruce Yee and Joyce Perlstein scored 1.80 masterpoints with a 59.49% game at In Tempo Bridge Club. See full results of this game. Richard Peress and Malcolm Kaiser scored 0.22 masterpoints with a 49.31% game at In Tempo Bridge Club. See full results of this game. Steven Adelson and Cynthia Rose scored 0.84 masterpoints with a 52.31% game at In Tempo Bridge Club. See full results of this game. Leslie Seldin and Connie Seldin scored 1.20 masterpoints with a ★61.68%★ game at In Tempo Bridge Club. See full results of this game. Carol Urben and Beth Hoffman scored 0.19 masterpoints with a 49.04% game at In Tempo Bridge Club. See full results of this game. Richard Sentner and Peter Apostle scored 0.84 masterpoints with a 58.93% game at In Tempo Bridge Club. See full results of this game. Marcia Dalton and Ellen Tryba scored 0.21 masterpoints with a 50.55% game at In Tempo Bridge Club. See full results of this game. Neil Goldstein and Fred Schomer scored 1.20 masterpoints with a ★62.23%★ game at In Tempo Bridge Club. See full results of this game. Jean Petrilli and Dan Betts scored 0.42 masterpoints with a 54.95% game at In Tempo Bridge Club. See full results of this game. Linda Ehrlich and Susan Schulman scored 0.97 masterpoints with a 53.59% game at Bridge On Shea. See full results of this game. Kay Bland and Page Tomkinson scored 0.51 masterpoints with a 50.53% game at Bridge On Shea. See full results of this game. Judy McNaughton and Marvin Schenk scored 0.27 masterpoints with a 51.71% game at Bridge On Shea. See full results of this game. Sonja Shiner and Sharon Wallack scored 0.27 masterpoints with a 53.32% game at Bridge On Shea. See full results of this game. Carmen Pottker and Thom Saudargas scored 0.51 masterpoints with a 45.94% game at Bridge On Shea. See full results of this game. Steven Adelson and Carole Silverstein scored 0.27 masterpoints with a 52.16% game at Bridge On Shea. See full results of this game. Anne Marie Harrington and Marvin Schenk scored 0.84 masterpoints with a 57.28% game at Bridge On Shea. See full results of this game. Ralph Segal and Daniel Nelson scored 0.67 masterpoints with a 50.93% game at In Tempo Bridge Club. See full results of this game. Carol Urben and Steven Sapiro scored 0.67 masterpoints with a 52.31% game at In Tempo Bridge Club. See full results of this game. Steven Schaffner and Thomas Berringer scored 0.95 masterpoints with a 54.4% game at In Tempo Bridge Club. See full results of this game. Murali Nair and Scott Donaldson scored 1.48 masterpoints with a 55.09% game at In Tempo Bridge Club. See full results of this game. Cheryl Moher and Susan Markowitz scored 0.67 masterpoints with a 55.18% game at Bridge On Shea. See full results of this game. Stewart Metosky and Sandee Metosky scored 0.61 masterpoints with a 55.92% game at Bridge On Shea. See full results of this game. Vivienne Cummings and Paul Vaccaro scored 1.93 masterpoints with a 59.17% game at Bridge On Shea. See full results of this game. Kathleen Lewis and Clu Lewis scored 0.96 masterpoints with a 55.47% game at Bridge On Shea. See full results of this game. Jim Williams and Barbara Mark scored 1.12 masterpoints with a ★61.54%★ game at In Tempo Bridge Club. See full results of this game. Donna Farnham and Susan Schulman scored 0.56 masterpoints with a 52.96% game at In Tempo Bridge Club. See full results of this game. Kathern Plenge and Lois Foulds scored 0.39 masterpoints with a 58.14% game at In Tempo Bridge Club. See full results of this game. Judith Passon and Jane Kantor scored 0.28 masterpoints with a 49.11% game at In Tempo Bridge Club. See full results of this game. Peter Blake-Ward and Marilyn Kratter scored 0.40 masterpoints with a 51.92% game at In Tempo Bridge Club. See full results of this game. Richard Welc and Kenneth Gaskins scored 0.80 masterpoints with a 57.1% game at In Tempo Bridge Club. See full results of this game. Marilyn Goesling and Marianne Victor scored 0.56 masterpoints with a 52.22% game at In Tempo Bridge Club. See full results of this game. Sandra Paley and Lynn Neuville scored 0.19 masterpoints with a 50.15% game at In Tempo Bridge Club. See full results of this game. Marvin Waxman and Leslie Seldin scored 0.19 masterpoints with a 53.4% game at In Tempo Bridge Club. See full results of this game. Anita McClintock and Kathleen Malo scored 0.28 masterpoints with a 47.19% game at In Tempo Bridge Club. See full results of this game. L Jane Heist and Allan Willey scored 0.52 masterpoints with a 55.68% game at Bridge On Shea. See full results of this game. Bruce Yee and Joyce Perlstein scored 0.40 masterpoints with a 54.92% game at Bridge On Shea. See full results of this game. Abby Renfroe and Marcia Dalton scored 0.52 masterpoints with a 56.25% game at Bridge On Shea. See full results of this game. Alice Pierce and Debbie Reichow scored 0.34 masterpoints with a 52.96% game at In Tempo Bridge Club. See full results of this game. Jack Berton, Jr and Bob Berton scored 0.77 masterpoints with a 55.05% game at In Tempo Bridge Club. See full results of this game. Leslie Seldin and Connie Seldin scored 0.54 masterpoints with a 53.73% game at In Tempo Bridge Club. See full results of this game. Allan Willey and L Jane Heist scored 0.15 masterpoints with a 51.8% game at In Tempo Bridge Club. See full results of this game. Joyce Perlstein and Bruce Yee scored 0.98 masterpoints with a 57.14% game at In Tempo Bridge Club. See full results of this game. Ellen Blum and Lynn Poncher scored 0.19 masterpoints with a 51.63% game at In Tempo Bridge Club. See full results of this game. Donna Hendrix and Charlie Likerman scored 1.09 masterpoints with a 58.28% game at In Tempo Bridge Club. See full results of this game. Karen Dugger and Leslie Seldin scored 1.45 masterpoints with a ★62.87%★ game at In Tempo Bridge Club. See full results of this game. Alan Stone and S Edward Hargest scored 0.14 masterpoints with a 48.9% game at In Tempo Bridge Club. See full results of this game. Shirley Burns and Bruce Urben scored 0.21 masterpoints with a 46.29% game at In Tempo Bridge Club. See full results of this game. 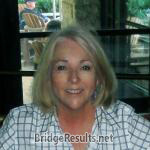 Judy Gallin and Kay Morse scored 0.81 masterpoints with a 56.73% game at In Tempo Bridge Club. See full results of this game. Laurence Niederhofer and James Miller scored 4.50 masterpoints with a 55.67% game at In Tempo Bridge Club. See full results of this game. Bruce Yee and Joyce Perlstein scored 0.77 masterpoints with a 50.93% game at In Tempo Bridge Club. See full results of this game. Leslie Seldin and Connie Seldin scored 0.59 masterpoints with a 47.66% game at In Tempo Bridge Club. See full results of this game. Bob Berton and Jack Berton, Jr scored 0.39 masterpoints with a 47.12% game at In Tempo Bridge Club. See full results of this game. Peter Blake-Ward and Marilyn Kratter scored 0.20 masterpoints with a 53.85% game at In Tempo Bridge Club. See full results of this game. Leslie Seldin and Gene Banucci scored 0.16 masterpoints with a 53.74% game at In Tempo Bridge Club. See full results of this game. Kathleen Malo and Cheri Thom scored 1.31 masterpoints with a 59.62% game at In Tempo Bridge Club. See full results of this game. Deborah Armstrong and Barbara Chadwick scored 0.18 masterpoints with a 54.21% game at Bridge On Shea. See full results of this game. Anita McClintock and Kathleen Malo scored 0.33 masterpoints with a 54.21% game at Bridge On Shea. See full results of this game. 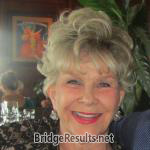 Nancy Hargest and S Edward Hargest scored 0.31 masterpoints with a 52.51% game at In Tempo Bridge Club. See full results of this game. Jack Berton, Jr and Anita McClintock scored 0.31 masterpoints with a 49.4% game at In Tempo Bridge Club. See full results of this game. Laurence Niederhofer and James Miller scored 3.38 masterpoints with a 59.37% game at In Tempo Bridge Club. See full results of this game. Marnie Webster and Annette Lamon scored 0.72 masterpoints with a ★64.58%★ game at Clark Ransom. See full results of this game. Bill Keys and Deborah Armstrong scored 0.34 masterpoints with a 46.49% game at Bridge On Shea. See full results of this game. Mark Robertson and Richard Jacobson scored 0.27 masterpoints with a 45.93% game at In Tempo Bridge Club. See full results of this game. Malee Mann and Anita McClintock scored 1.31 masterpoints with a 59.72% game at In Tempo Bridge Club. See full results of this game. Neil Goldstein and Colleen Clark scored 0.55 masterpoints with a 52.95% game at In Tempo Bridge Club. See full results of this game. Donna Hendrix and Charlie Likerman scored 0.22 masterpoints with a 53.97% game at In Tempo Bridge Club. See full results of this game. Bryan Carlson and Harry Weindruch scored 0.63 masterpoints with a 51.85% game at In Tempo Bridge Club. See full results of this game. Diana McIntosh and Allan Willey scored 2.21 masterpoints with a 57.41% game at In Tempo Bridge Club. See full results of this game. Betty Knode and Susan Sacks scored 0.14 masterpoints with a 53.73% game at In Tempo Bridge Club. See full results of this game. 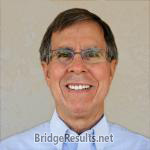 S Edward Hargest and Marilyn Kratter scored 0.18 masterpoints with a 53.73% game at In Tempo Bridge Club. See full results of this game. Kim Cohos and Lily Lister scored 0.22 masterpoints with a 54.09% game at In Tempo Bridge Club. See full results of this game. Mary Jane Chittenden and Charles Chittenden scored 0.92 masterpoints with a 57.69% game at In Tempo Bridge Club. See full results of this game. Dale Block and Sharon Graves scored 0.38 masterpoints with a 54.93% game at In Tempo Bridge Club. See full results of this game. Lynn Poncher and Charlie Likerman scored 0.34 masterpoints with a IMP game at Bridge On Shea. See full results of this game. Dale Block and Ellen O'Hara scored 2.17 masterpoints with a ★64.78%★ game at In Tempo Bridge Club. See full results of this game. Peter Blake-Ward and Marilyn Kratter scored 0.18 masterpoints with a 51.68% game at In Tempo Bridge Club. See full results of this game. Gene Banucci and Leslie Seldin scored 0.65 masterpoints with a 57.93% game at In Tempo Bridge Club. See full results of this game. Judy Gallin and Margaret Randol scored 1.39 masterpoints with a ★60.88%★ game at In Tempo Bridge Club. See full results of this game. Laurence Niederhofer and Dianne Trees scored 0.50 masterpoints with a 50.93% game at In Tempo Bridge Club. See full results of this game. Barbara Chadwick and Deborah Armstrong scored 1.18 masterpoints with a ★63.32%★ game at Bridge On Shea. See full results of this game. RITA BERTSCH and Pat Burrows scored 0.98 masterpoints with a 54.76% game at RochesterMn Duplicate Bridge Club. See full results of this game. Jeff Lane and Bruce Yee scored 0.61 masterpoints with a 47.76% game at Bridge On Shea. See full results of this game. Deborah Armstrong and Bill Keys scored 0.28 masterpoints with a 51.28% game at Bridge On Shea. See full results of this game. Charlie Likerman and Lynn Poncher scored 0.48 masterpoints with a 53.79% game at Bridge On Shea. See full results of this game. Jack Berton and Sally O'neill scored 1.36 masterpoints with a ★69.09%★ game at Bridge On Shea. See full results of this game. Linda Hardy and Jenny Singer scored 0.29 masterpoints with a 50.38% game at Bridge On Shea. See full results of this game. Neil Goldstein and Colleen Clark scored 0.56 masterpoints with a 58.33% game at In Tempo Bridge Club. See full results of this game. Anita McClintock and Kathleen Malo scored 0.22 masterpoints with a 52.05% game at In Tempo Bridge Club. See full results of this game. Deborah Armstrong and Bill Keys scored 0.54 masterpoints with a 48.27% game at Bridge On Shea. See full results of this game. Angela Ulrey and Lois Bender scored 0.28 masterpoints with a 49.84% game at In Tempo Bridge Club. See full results of this game. Diana McIntosh and Allan Willey scored 0.70 masterpoints with a 58.52% game at In Tempo Bridge Club. See full results of this game. Cissie Lilien and Susan Sacks scored 0.17 masterpoints with a 47.39% game at In Tempo Bridge Club. See full results of this game. Leslie Seldin and Gene Banucci scored 0.74 masterpoints with a 56.73% game at In Tempo Bridge Club. See full results of this game. Judy Lucas and Bonita Gimple scored 0.43 masterpoints with a 50.69% game at In Tempo Bridge Club. See full results of this game. Deborah Armstrong and Betsy Clifton scored 0.48 masterpoints with a 44.91% game at Bridge On Shea. See full results of this game. Sharon Graves and Dale Block scored 0.35 masterpoints with a 50.71% game at In Tempo Bridge Club. See full results of this game. Colleen Stacey and RITA BERTSCH scored 0.55 masterpoints with a 51.44% game at RochesterMn Duplicate Bridge Club. See full results of this game. Charles Chittenden and Mary Jane Chittenden scored 0.48 masterpoints with a 54.95% game at In Tempo Bridge Club. See full results of this game. Leslie Seldin and Connie Seldin scored 0.70 masterpoints with a 53.3% game at In Tempo Bridge Club. See full results of this game. Bruce Yee and Joyce Perlstein scored 1.20 masterpoints with a 52.22% game at In Tempo Bridge Club. See full results of this game. Malcolm Kaiser and Ellen O'Hara scored 0.45 masterpoints with a 49.07% game at In Tempo Bridge Club. See full results of this game. Lily Lister and Kathleen Malo scored 0.20 masterpoints with a 44.17% game at Clark Ransom. See full results of this game. Jim Williams and Lynne Prieston scored 0.29 masterpoints with a 51.92% game at In Tempo Bridge Club. See full results of this game. Leslie Seldin and Gene Banucci scored 0.17 masterpoints with a 53.21% game at In Tempo Bridge Club. See full results of this game. Peter Blake-Ward and Marilyn Kratter scored 0.77 masterpoints with a 56.92% game at In Tempo Bridge Club. See full results of this game. Janis Merrill and Dale Block scored 0.79 masterpoints with a 54.36% game at In Tempo Bridge Club. See full results of this game. Barbara Chadwick and Deborah Armstrong scored 1.63 masterpoints with a ★63.85%★ game at Bridge On Shea. See full results of this game. Marc Solow and Bruce Yee scored 0.38 masterpoints with a 55.51% game at Bridge On Shea. See full results of this game. Charlie Likerman and Lynn Poncher scored 0.59 masterpoints with a 52.76% game at Bridge On Shea. See full results of this game. Lois Sperl and Marnia Webster scored 0.42 masterpoints with a 52.41% game at Bridge On Shea. See full results of this game. Bruce Yee and Joyce Perlstein scored 2.99 masterpoints with a ★65.95%★ game at Bridge On Shea. See full results of this game. Charles Chittenden and Mary Jane Chittenden scored 0.62 masterpoints with a 57.94% game at Bridge On Shea. See full results of this game. Neil Goldstein and Colleen Clark scored 0.39 masterpoints with a 53.83% game at In Tempo Bridge Club. See full results of this game. Leslie Seldin and Connie Seldin scored 0.32 masterpoints with a 52.94% game at In Tempo Bridge Club. See full results of this game. Ellen O'Hara and Kathleen Malo scored 0.25 masterpoints with a 50.4% game at In Tempo Bridge Club. See full results of this game. Jim Williams and Lynne Prieston scored 0.90 masterpoints with a ★62.85%★ game at In Tempo Bridge Club. See full results of this game. Daverille Sher and Diane Weissman scored 1.13 masterpoints with a 55.22% game at In Tempo Bridge Club. See full results of this game. Alice Pierce and Debbie Reichow scored 0.27 masterpoints with a 50.89% game at In Tempo Bridge Club. See full results of this game. Mary Jane Chittenden and Charles Chittenden scored 0.20 masterpoints with a 53.74% game at In Tempo Bridge Club. See full results of this game. Donna Hendrix and Charlie Likerman scored 2.41 masterpoints with a 58% game at In Tempo Bridge Club. See full results of this game. Lois Sperl and Marnie Webster scored 1.81 masterpoints with a 56.98% game at In Tempo Bridge Club. See full results of this game. Jeanne Gorman and Bruce Urben scored 0.35 masterpoints with a 51.42% game at In Tempo Bridge Club. See full results of this game. Betsy Clifton and Deborah Armstrong scored 1.02 masterpoints with a 56.49% game at Bridge On Shea. See full results of this game. Sharon Graves and Dale Block scored 1.20 masterpoints with a ★60.7%★ game at In Tempo Bridge Club. See full results of this game. Marilyn Kratter and Marilyn Goesling scored 0.90 masterpoints with a 55.17% game at In Tempo Bridge Club. See full results of this game. Alan Stone and S Edward Hargest scored 0.23 masterpoints with a 53.49% game at In Tempo Bridge Club. See full results of this game. Lois Sperl and Rita Bertsch scored 0.68 masterpoints with a 53.61% game at In Tempo Bridge Club. See full results of this game. John Barker and Jack Berton, Jr scored 0.28 masterpoints with a 48.35% game at In Tempo Bridge Club. See full results of this game.